At Tennis Schol Nicole Bain we train our players at Hallen TC Lengg. The public tennis complex in the city of Zurich offers perfect conditions for a year-long training on different types of surfaces. During summer season trainings are held on the outdoor clay courts as on the indoor rebound ace and carpet courts. 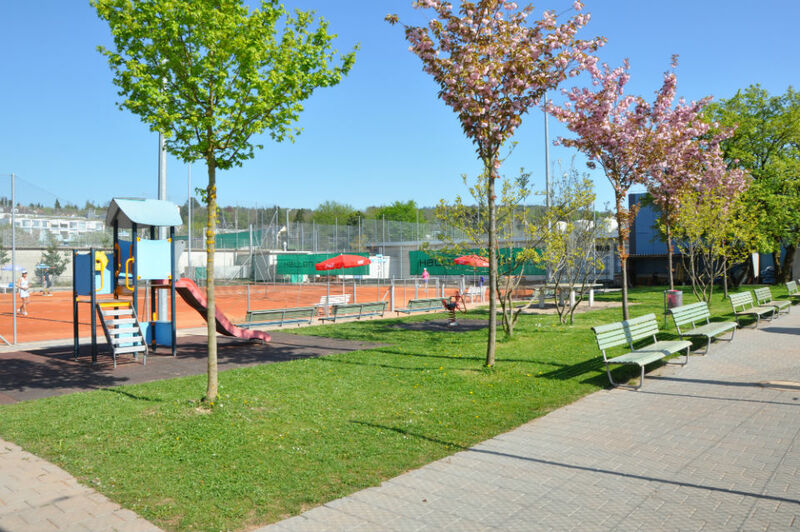 Some Summer season trainings will also be held at TC im Hau Witikon on clay courts. In winter, training takes place on the indoor courts (rebound-ace & carpet) and on the with air halls covered clay courts. Halen TC Lengg is situated close to Zurich Seefeld. It is easily accessible using public transport and takes five minutes from Hegibachplatz via Bus 77.